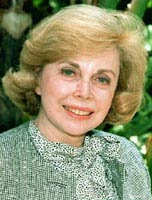 Do you remember Dr. Joyce Brothers? I ask because years ago she was a huge celebrity and popular author, but we haven't heard from her in nearly 20 years. As I write, she's now 84 years old, retired and living in Ft. Lee, New Jersey. She earned her Ph.D. in psychology from Columbia. Most psychologists either become counselors, do research, or teach at a university. I'm not sure whether she ever had a clinical practice, but she reached millions of people through the media. She broke into TV in 1955 by winning the all the marbles on the TV show, "The $64,000 Question," answering correctly all the questions on the topic of "boxing." After that she dispensed advice on radio and TV for years and became so well known that she appeared regularly on most of the game shows and talk shows. For years she had a regular column in Cosmopolitan. Dr. Phil notwithstanding, she was probably the most famous psychologist media star ever. She even had parts in some movies. She used her fame to write several best-selling advice books, the last of which was Positive Plus: The Practical Plan for Liking Yourself Better (1995). She was intelligent, confident, smart, action-oriented, charismatic and attractive. While her personality shines in front of the camera, her intelligence comes through in her books. I've always found what she had to say helpful, on-target and well-spoken. It's as if her wisdom doesn't come from studying people, but from living life. Which is why I've collected so many of her quotes. On ATTITUDE - "Success is a state of mind. If you want success, start thinking of yourself as a success." On COURAGE - "Accept that all of us can be hurt, that all of us can - and surely will at times - fail. Other vulnerabilities like being embarrassed or risking love, can be terrifying too. I think we should follow a simple rule: if we can take the worst, take the risk." On EFFORT - "No matter how much pressure you feel at work, if you could find ways to relax for at least five minutes every hour, you'd be more productive." On INTUITION - "Trust your hunches. They're usually based on facts filed away just below the conscious level." On LOVE - "Love comes when manipulation stops; when you think more about the other person than about his or her reactions to you. When you dare to reveal yourself fully. When you dare to be vulnerable." On OPEN-MINDEDNESS - "Listening, not imitation, may be the sincerest form of flattery." On SELF-ESTEEM - "An individual's self-concept is the core of his personality. It affects every aspect of human behavior: the ability to learn, the capacity to grow and change. A strong, positive self-image is the best possible preparation for success in life." On TRUST - "The best proof of love is trust."